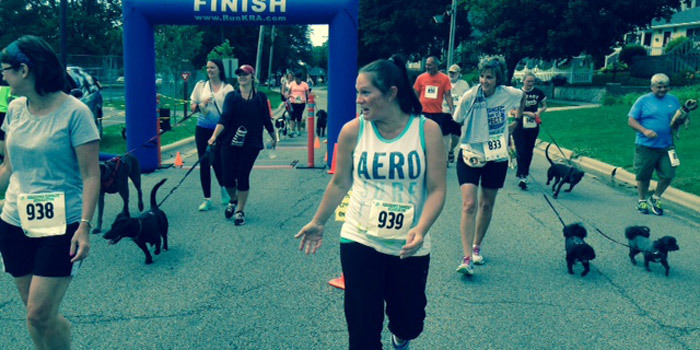 WINONA LAKE — The first 5K-9 Race to benefit the Animal Welfare League was a unique event Sunday evening with over 100 people, many with their dogs, arrived to run or watch this event at Winona Lake Park. The weather was perfect and the assistance from the Kosciusko Runner’s Association was invaluable. John Kuhn, a local Kosciusko Youth Leadership Academy high school student, had made this his project and received many accolades for the job he had done. Trophies, ribbons and prizes along with T-shirts were given to participant. 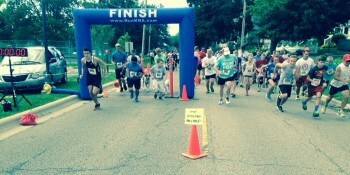 Winona Lake Police assisted with traffic and helped manage the event. Participants were allowed to run alone or with their pets and walking was considered just fine as well. With first place times well under 20 minutes there were some dedicated runners who participated. The event benefited the capital campaign of the Animal Welfare League, an organization that helps the people and pets of the community. Plans are underway for a repeat. 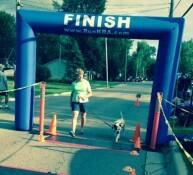 The winner of the older category reportedly passed up a Chicago race for the local 5K-9 Race. 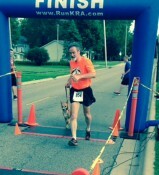 Another runner and dog cross the finish line. 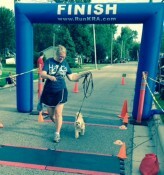 Her husband finished earlier, but she opted to take the dog along for the run.